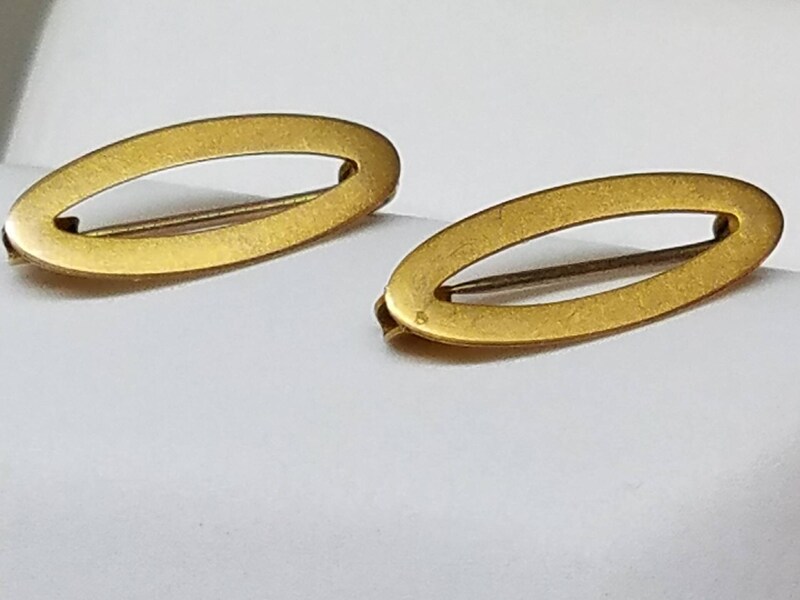 These antique pins are 10K yellow gold and in excellent condition. Originally used as scarf clips, circa 1900. 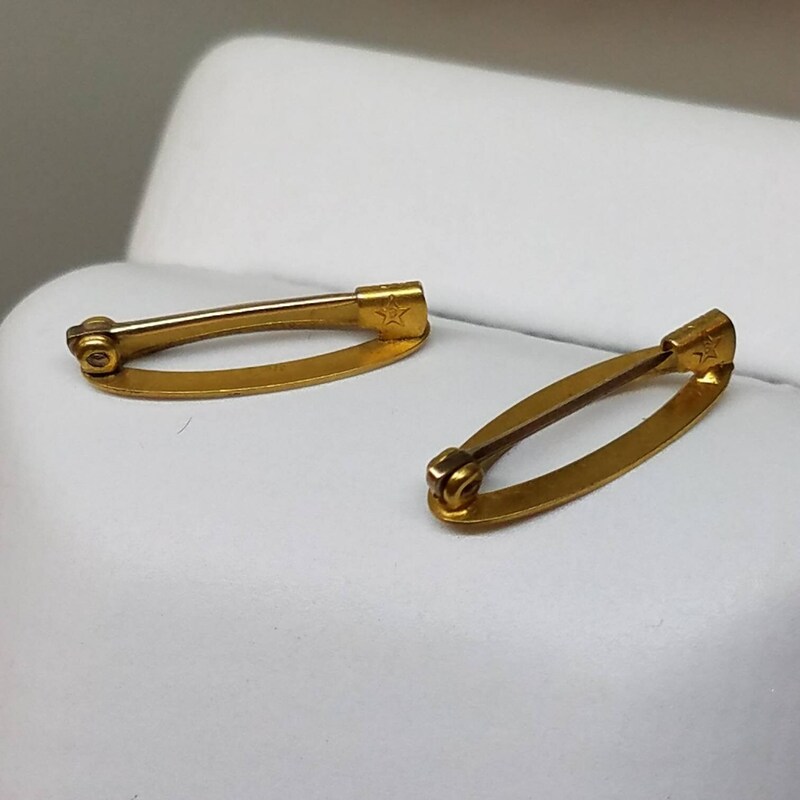 They feature lovely c clasps in back and measure ~16mm by ~6mm. Comes as a set of 2.